I love, love, love the Tokyo Art Book Fair. It’s a concentration of great ideas and you can almost feel the creative energy emanating from the pages. From March 8th to April 7th, Tokyo Art Book Fair is holding the “Ginza Edition” at Ginza Sony Park. The Zine’s Mate shop is open every day. On weekdays you can buy books from a vending machine and on the weekends, exhibitors replace the vending machine. Each weekend has different exhibitors. I love the vending machine concept. Between the vending machine and new exhibitors every weekend, there’s plenty of motivation to go more than once. I shared a table with Art Byte Critique on the opening weekend. Working with ABC is another reason I love TABF. Throughout the year I enjoy watching my fellow artists’ creations morph from idea to physical object. Then during TABF we get to see people interact with our books and ask questions. ABC also shared the table with artists from England that we have been collaborating with over the last two years. I really admire how they push the idea of book form and their craftsmanship. Like every year we’ve been next to great tables and this year is no exception. Our neighbours were Anmoc Books, which is based in Korea, Homspun, a clothing shop in Shibuya, and COS. COS had a beautiful book about structures and folds. Anmoc Books had some of the most beautiful photography books I’ve seen. Their craftsmanship for handmade photography books is amazing. We traded a few books. On a personal note, I was really excited to finish Glow in the Dark Pop Out Mushrooms for TABF. The case is covered with polymer clay that glows in the dark and the hand-drawn and painted concertina. 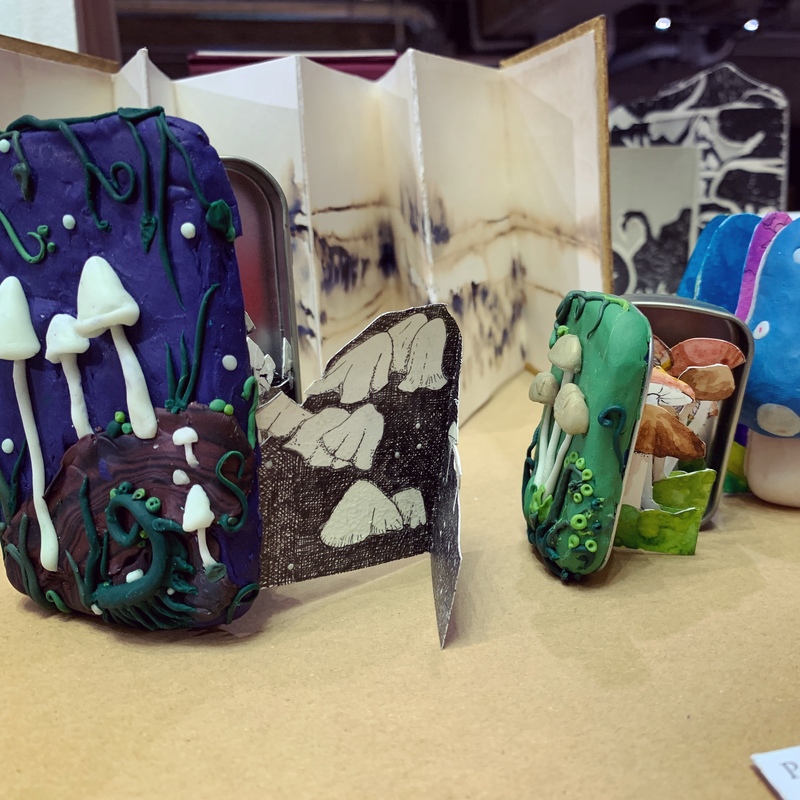 The smaller green book, Pop Out Mushrooms was first shown at Launch Pad Gallery in September in the Reading Between the Lines exhibition. I also had a new project called Space songs which is based on the electromagnetic and radiation waves translated into sound. I’m going to take my own advice and check out the vending machine during the week. I’ll update the post with pics from my next visits along with some books. *Mar 8 will be from 17:00 – 21:00. The last six months has been great for meeting artists and talking to them about their work. 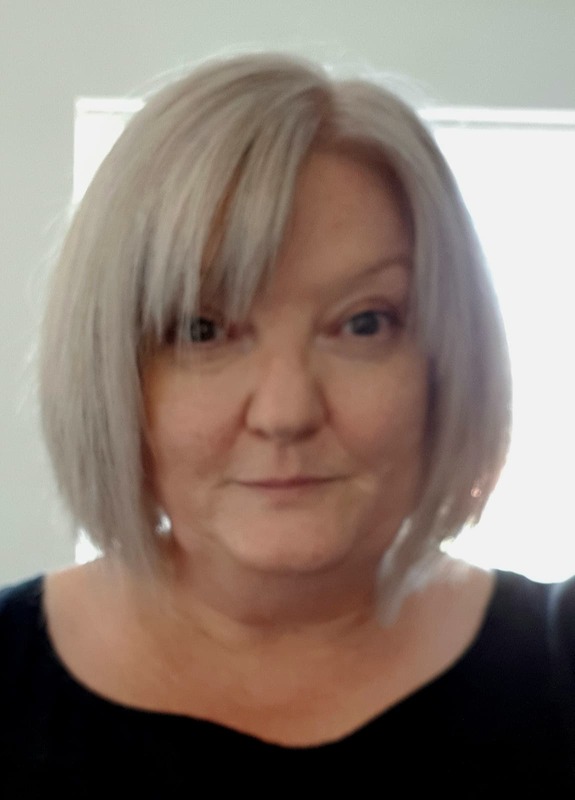 Jeni McConnell is another British Artist I’ve exhibited with but haven’t had the chance to meet yet. She also shared a table with Art Byte Critique at the Tokyo Art Book Fair-Ginza Edition on the weekend of March 8th. It was lots of fun to watch people pick up and enjoy Jeni’s books. In this interview she talks about her why she makes art books and her creative process. How long have your been making art books? Since 2007 when I took the 2 nd year print module during my Fine Art BA. The print tutor, Michelle Rowley, was (and still is) an amazing teacher, print artist and artists’ book maker. She introduced us to the form of the artists’ book and took us to see the special collection at MMU in Manchester, England https://www.specialcollections.mmu.ac.uk/artists.php. As a student group we began to show and sell our work at artists’ book fairs in Liverpool, Manchester, Leeds and London, which I continued after leaving college. Why do you like making books? What do you like about making books compared to other forms of expression? The book form is something that can be handled, explored, moved and touched which adds another layer of experience for those who interact. It is so much more than just looking, it takes you on a journey, gently leading you through the pages. Many of my books will also have a container, box, or wrapper to hold the book form as a key part of the work. I love this way of making the readers’ explorational journey to get to the book a part of the experience. There’s also a sense of freedom that you can explore in the order you wish; I am left handed so I think I explore books slightly differently because of my dexterity skill balance – tending to open and explore books from the back page first! Do you have a favourite method or technique to make books? the recycling bin than you might imagine for what at first look like such simple final forms! What method of making books do you want to try next? An altered book: I have an old book that I used to press some collected plants and weeds from a desire line walk I did a few years ago. I’ve removed the old battered pages of the book and kept the book cover and spine in tact – I now need to work out how I connect the pressed plants with the book frame in such a way that it conveys the message I want with the right aesthetic. I have been thinking about this for far too long – should I just get on with it? What was the biggest challenge in making your book? How will this end is formed of inkjet printed A4 recycled paper sheets, cut, folded and glued to form a single concertina book. Getting the images cropped for printing and making sure the folds of the paper were level and even was key to the final piece. Thinking back further, it was also a bit of a challenge to get the plastic sea creatures covered in gold leaf, making sure their breathing/eating areas were kept clear – but it was a key part of the work. cultural differences – but even the silence is compelling for me to respond creatively! Do you have any favorite book artists? 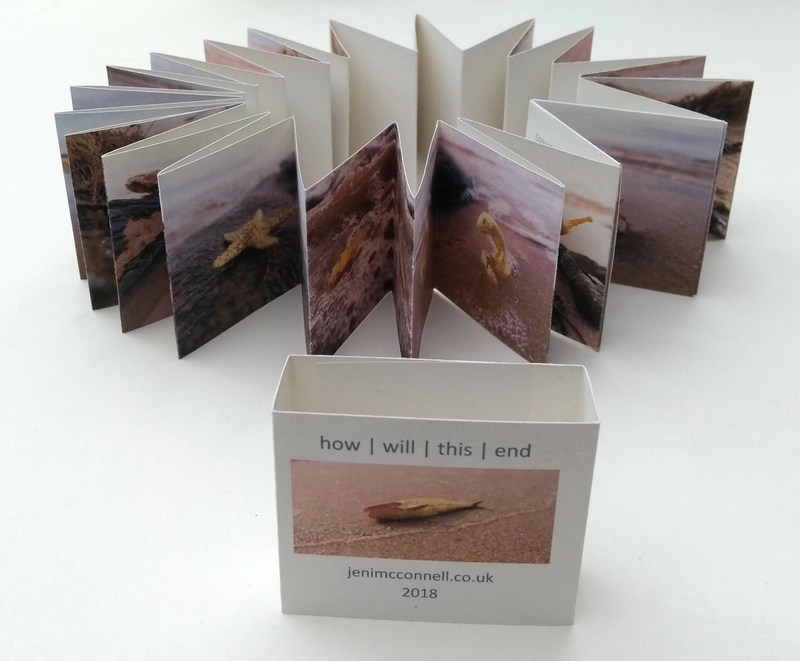 Jacqui Priestly is a British artist who has been collaborating with Art Byte Critique in sharing artist books between the UK and Japan. Currently she is sharing a table with the Art Byte Critique artists at Tokyo Art Book Fair Ginza Edition from March 8-March 10. The Ginza Edition is at Sony Park and runs from March 8 to April 7. During weekends, exhibitors have tables and during the weekdays, books are available through a book vending machine. How long have you been making artist books and why do you make them? I haven’t been making artists books very long, along have l have made my own sketchbooks for some time, so am familiar with a number of book binding techniques. I like how the medium allows me to combine my two artistic passions, writing – poetry & prose and visual arts – printing, painting, drawing and photography. I am also fascinated by how far we can push the concept of “a book” into more conceptual three dimensional forms. Do you have a favourite creating books? I don’t really have a favourite process in terms of book making, l like to experiment but l am fond of the traditional processes of stitch binding and stab binding, both can be challenging but rewarding when the pages come together. I am keen to try some cut page work on my next experiment, combining it with my love of ink drawings. Maybe starting with a more simple cut work like Maddy Rosenberg’s REPTILES! Which with its accordion format seems achievable using ink drawing and cut shapes. I have included some images of my most recent books. Joan Birkett, an artist from the UK, has collaborated several times with Art Byte Critique. 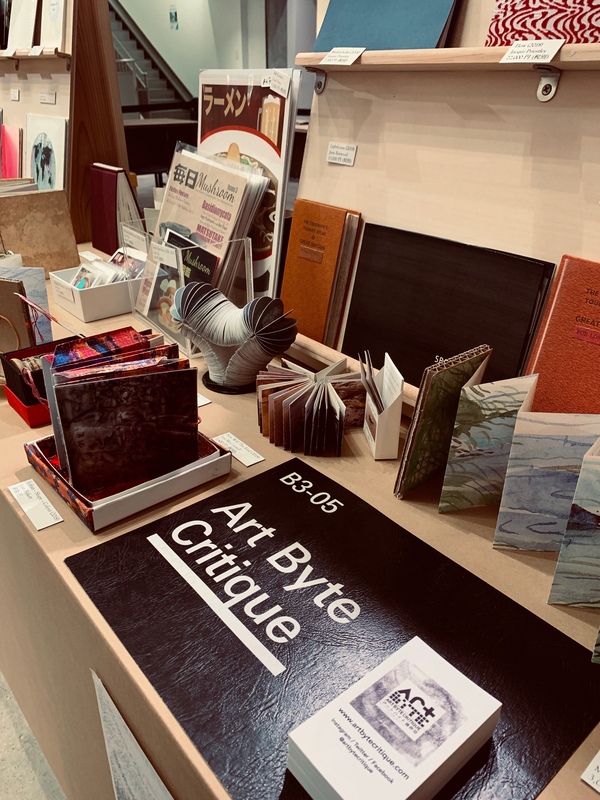 Currently, she is part of the UK contingent sharing a table with Art Byte Critique at the Tokyo Art Book Fair Ginza Edition at Sony Park in Yurakucho. The TABF Ginza Edition runs from March 8-April 7. The Art Byte Critique tables from March 9-March 10. In this interview, Joan talks about her work, collaboration and building a community. You and Arthur Huang were instrumental in creating Reading Between the Lines, and other shows, how did that collaboration come about? The group of artists connected with the Tokyo St Helens project, came together at my request after I had made contact with Art Byte Critique through Arthur. What was the purpose of building the artist group in your area? Some of them belong to Platform Arts studios which was originally formed by Claire and myself linking up with a number of other interested artists, with help from the very active Arts and Library service in the Town. This was about ten years ago now but it has changed over the years to what it is today, most of the artists now involved are new. Other artists involved work individually across the North West but come together for group projects. There has always been a number of individuals and small art groups in St Helens but Platform arts was possibly the first artist network around in St Helens at the time of its conception. Since then there seems to be a number of artists coming together to form collaborative partnerships. The Yellow Door artists are one example. Not long after Platform started to operate, the Heart of Glass programme began in St Helens with funding from Arts Council England. This was through what is called the People and Places funding which is for artists to work with communities in order to introduce innovative arts and cultural opportunities, hopefully broadening and raising the level of engagement with Art and Culture throughout a particular Town. A number of different organisations in the Town were involved in bringing bidding for the funding and Platform was one of these. It was through this programme that I originally received some funding to look at the possibilities of linking with artists in Japan, it was suggested by one of the Heart of Glass producers because of my family links in Tokyo and my interest in Japanese woodblock print work and how my own work had been influenced by the connection. It was also about providing information to others about how links could be made and the benefits of working in this way on a number of levels, perhaps influencing others to have a go. So I did quite a lot of research about what networks were in Tokyo and I put some information together which I sent off to them. My daughter-in-law helped by translating the letter for me. However, I wasn’t very successful until I discovered an online blog/help site, by an artist working in Tokyo, named Miki Saito, she was very helpful and receptive to what I was trying to do and put me in touch with Arthur Huang and consequently the artist group -Art Byte Critique. Arthur, was from the beginning as I have always found him to be, so positive and resourceful, open to just trying things out, exactly the artist I needed to meet, he has been so such a great person to meet and work with. It is really down to him and all of the other artists involved that we have been able to put on three joint exhibitions as a result of the partnership. I can’t believe how lucky I have been in being able to meet such open and interesting people. How long have you been making art books? I started to explore making book art objects as part of the Tokyo/St Helens return project, which began in 2014. This was somewhat of a pragmatic decision on my part because of the practical difficulties of sharing larger works between Tokyo and St Helens. 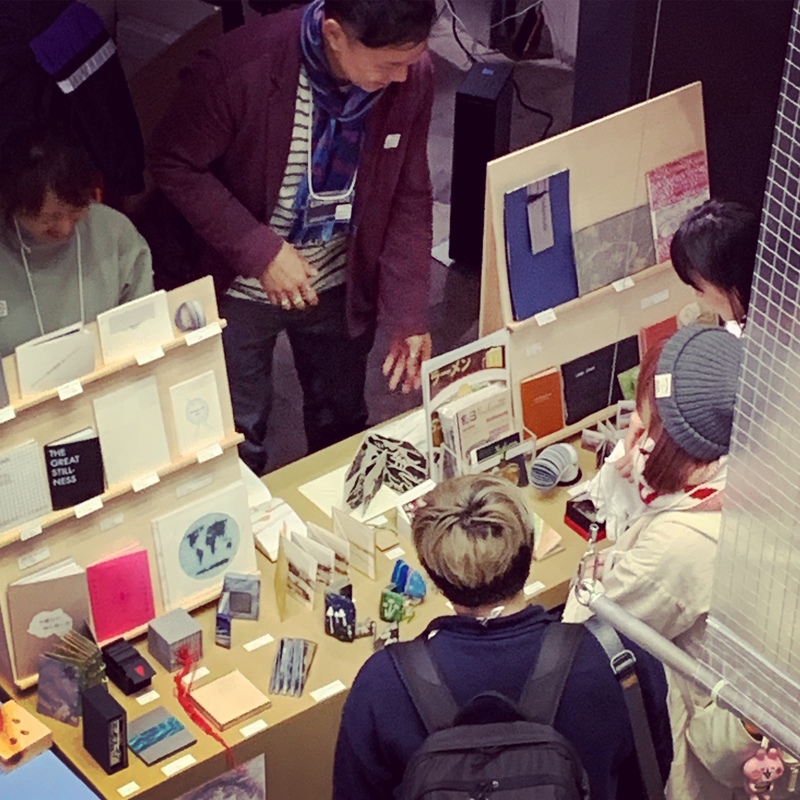 Also the fact that a number of the Art Byte Critique artists with whom I had made contact through the artist Arthur Huang, were making books and zines as part of their practice and exhibiting at The Tokyo Art Book Fair. It has allowed me to explore 3D possibilities on a scale that I am able to cope with easily, experimenting with materials and form, I also like the fact that it can be touched and explored by the viewer. Although not normally working with paper unless I am sketching or drawing from life, I am interested in materials and texture, and book art has inspired me to work with different papers and to explore my interest in print as a process. My work generally begins from my being inspired by a particular subject or idea, after which comes the research that informs the work I eventually make, this is often large scale and consists of a visual language type imagery as a depiction of humanity. Book art allows another dimension to this in presenting a number of possibilities, particularly in the size of the work, it makes me think about working on a different scale and with the text in a different way. It does though present certain constraints given I am quite new to the process and book making skills. I am still learning so I haven’t tried many of the techniques yet, my experience to date is limited but I intend to keep exploring the possibilities. I have had a long term interest in using text within my work therefore I suppose I would be interested in exploring different types of text and what I can do with it, therefore developing my work in this way. Definitely for me not getting too expressive in the making, so that the object becomes too fragile for the viewer. Although I have to say this is often really what I am looking for, a depiction of strong and fragile within the same object, so a bit of challenge. I have also attended a number of print making workshops in order to extend my knowledge and skills with printing methods. I don’t deny that this is quite a challenge for me I work expressively, precision and constraint is not something I am necessarily very good at. There are so many artist’s work that I find inspiring generally, I haven’t really just looked at artists who concentrate on this medium. I’m interested in how the making of book art can influence the expression and physicality of my ideas. 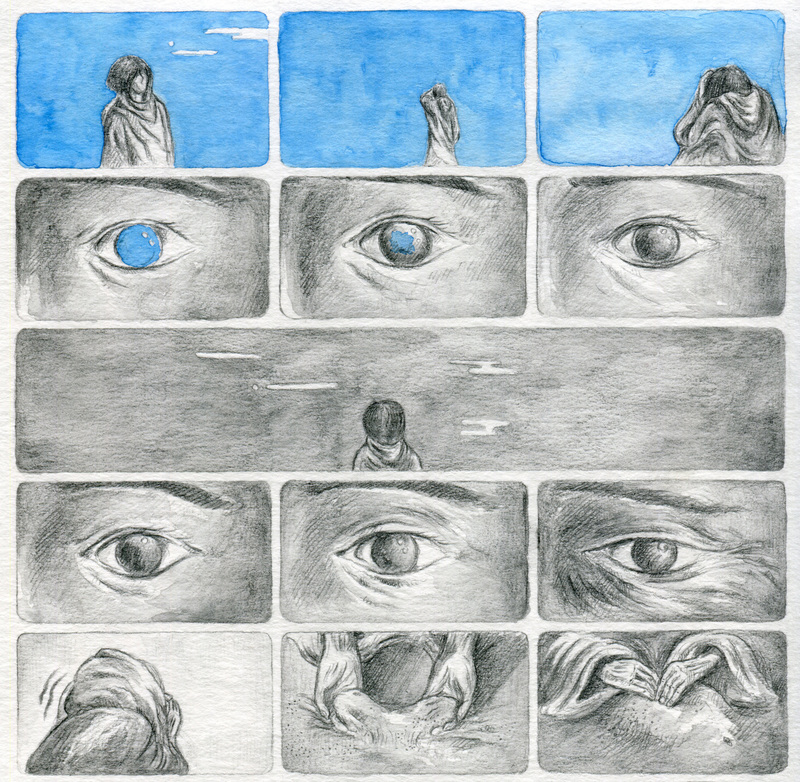 The first time I met Odding was at the Sequential Art Meetup in July, but we never got a chance to talk. During the set-up for the Monogatari exhibition at Tokyo Chapter in October, we discovered we had a lot in common–especially coffee and mushrooms. Odding’s delicate graphite images for her Monogatari contribution, “Here,” add a wonderful facet to the amazing artwork in the issue. Checkout the Q &A with Odding below. How long have your been making sequential art? For decades, since I was around 5 or 6. What do you like about sequential art compared to other forms of expression? I think sequential art opens up many possibilities, comparing to single frame images, since it brings fragments of time in itself; Comparing to moving images like movies or animation, it gives the reader freedom of setting your own pace; Comparing to literature, like novels or poetry, sometimes it speaks more with less words or even only visual elements. I like all the above forms as well but I think sequential art definitely has its own unique charm and more potential to be explored. What inspired your story for Monogatari? “Here” was about a real story, well, it wasn’t even a story, just a little fragment of memories, when I first moved to my current place and found this little old motsuyaki store, run by a small old lady with (probably) her son, the lady was always smiling and I could tell that she was a very honest and sweet person. One day I noticed a bamboo dragonfly on top of the shelf in the store and she realized that I was interested in it, so she took it down and let me play with it. Back then I couldn’t speak any Japanese, so our communication was basically gestures and smiles. I’m always fascinated with old places and old people, and this kind of little stories always brings me lots of warmth at heart. What are you most proud of in your story? I’m proud of its honesty, even though it was a mixture of reality and imagination. The point is whenever I read it myself, I can still feel the same kind of warmth as I did in the little store. What was the biggest challenge in making your story? Telling the story without words would be one of the biggest challenges, as I did in my other stories too. I was worried that readers won’t be able to fully understand it, but actually they don’t even have to. The story itself is beyond language barrier, and I think I’m quite satisfied with it. Another challenge would be fitting the artwork into A5 size space without losing much details, and I think the editor and printers did a good job on that. Do you have any favorite stories or sequential artists that you recommend to readers? My all time favourite would be Chris Ware, then Jon McNaught, whose way of storytelling kind of inspired “Here”. Besides those two, I’d also recommend Lisa Hanawalt and Nick Drnaso. For books I recommend “The Photographer” by Didier Lefèvre and Emmanuel Guibert; and “Here” by Richard McGuire (Haha my story in Monogatari has nothing to do with this book). I haven’t met Carol Miller in person… yet. But through another artist, Joan Birkett, we’ve collaborated on a couple of art book exhibitions. Carol is also a very talented illustrator. Her graphite drawings for Drawlloween 2018 are amazing. I was really impressed with her pieces for Reading Between the Lines and Turning the Page, doubly so since they were her first foray into artist books. She answered a few questions about her work. Check out her interview below. Before being invited to participate in this project, I had not made any artists books since my Art Foundation Course. Why do you like making books? / What do you like about making books compared to other forms of expression? I enjoyed the tactile nature and sculptural quality of the final works. Producing work which people are actively encouraged to handle and interact with and which would be enhanced by the potential ‘destructive nature’ of that handling added an additional element not possible in my other work. Whenever I start a piece of work the process is always fluid and I never have an end ‘work’ or image in mind, rather letting the work and lead me. I approached making books in the same way. I did rediscover the joy of Ink and bleach and produced 3 of the books using this technique. I’m not sure I would say it was my favourite technique, more that I got slightly obsessed with it for a while. The books I made using this technique are still amongst some of my favourite work. The books I made for the project were originals and I would like to explore the possibility of producing affordable editions. Honestly, stopping. My one book contribution to the project turned fairly rapidly into five. Do you have any favourite book artists? As a ‘newbie’ to the world of artists books, not yet but I enjoy the journey of discovery.